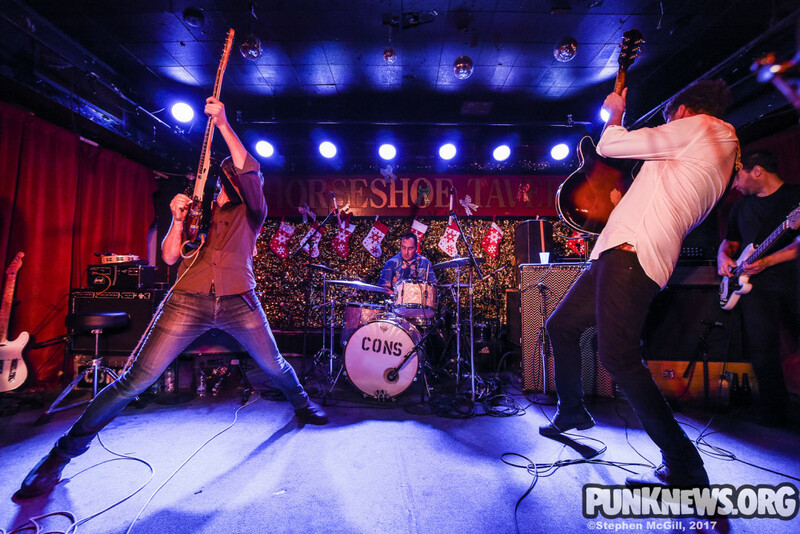 This Friday and Saturday beloved Ontario rock band the Constantines got together for a pair of shows at the legendary Horseshoe Tavern in support of the venue's 70th anniversary. The Friday show featured support from Toronto's The Highest Order. The band, who've been playing sporadic shows since their return to action a few years ago, surprised the crowd by including five new songs in their set. The group hasn't released a record since 2008's Kensington Heights. Our photographer Stephen McGill was there to take some shots from the show. Check them out below.